The Fourth Tranche of Prime Minister Modi’s ambitious Sovereign Gold Bond scheme is up for grabs these days. The scheme can be subscribed between July 18th to July 22nd 2016. Let’s understand the scheme and take benefits from it. Since the scheme ends tomorrow, i.e Friday, 22nd July 2016, I will come to the topic without wasting much of your time. So here’s all all you wanted to know about the Sovereign Gold Bonds. In a bid to bring down the import of gold and to give an alternative to buy physical gold, Government of India had announced the Sovereign Gold Bond scheme. The fourth tranche of the gold bond scheme ca be subscribed right now and last day to subscribe for it is tomorrow. 1. The gold bond scheme was announced to give consumers an alternative where they can buy bonds in place of in place of physical gold. 2. The minimum bond size was worth 1 grams of gold, and the maximum was 500 grams. 3. The Sovereign Gold Bonds were open for public subscription from July 18th to 22nd and the subscription period ends tomorrow. The bonds will be issued on August 5, 2016. 4. 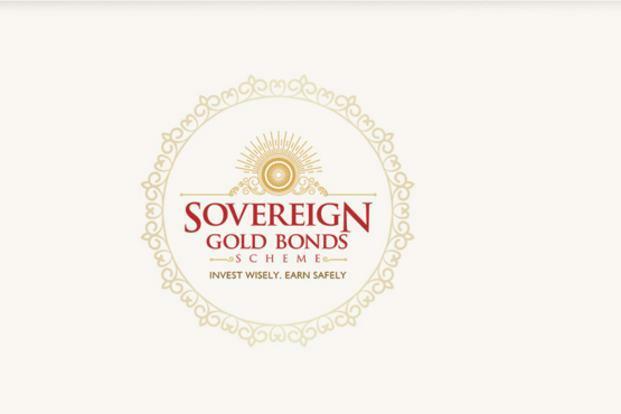 The Sovereign Gold Bonds were offered at an interest rate of 2.75%. The interest will be payable semi-annually on the initial value of investment. 5. There would also be a commission of 1% on the subscription amount for distribution of bonds. 6. The physical certificates as well as De-mat form of bonds can be purchased this time. 7. The tenor of the bond will be for a period of eight years with exit option from 5th year can be exercised on the interest payment dates. 8. The price of the bond will be fixed in rupees, on the basis of the previous week’s (Monday – Friday) simple average of closing price of gold of 999 purity published by the India Bullion and Jewelers Association Ltd. The same procedure would be followed for calculating the redemption price for the bonds. 9. Capital gain tax arising on redemption of SGB to an individual has been exempted. The indexation benefit will be provided to LTCG arising to any person on transfer of bonds. The bonds can be used as collateral for loans and the loan-to-value ratio will be set equal to ordinary gold loan mandated by the Reserve Bank from time to time. 10. The bonds will be tradable on exchanges and will be eligible for Statutory Liquidity Ratio. 2. The tenor of the bond is for a minimum of 8 years with option to exit in 5th, 6th and 7th years. 3. They will carry sovereign guarantee both on the capital invested and the interest. 4. Bonds can be used as collateral for loans. 5. Bonds would be allowed to be traded on exchanges to allow early exits for investors who may so desire. 6. Further, bonds would be allowed to be traded on exchanges to allow early exits for investors who may so desire. If I apply, am I assured of allotment? In case of premature redemption, investors can approach the concerned bank/SHCIL offices/Post Office/ National Stock Exchange of India Ltd./Bombay Stock Exchange Ltd./agent thirty days before the coupon payment date. Request for premature redemption can only be entertained if the investor approaches the concerned bank/post office/Stock Exchange at least one day before the coupon payment date. The proceeds will be credited to the customer’s bank account provided at the time of applying for the bond. We hope that we have answered all your queries about Sovereign Gold Bond. Please feel free to raise question if you feel you need information on this topic. Have a great day and happy Investing. Now trade with Moneypalm at a maximum brokerage of ONLY Rs 15 per executed order. Also some really attractive account opening offers are going on for the month of July 2016.